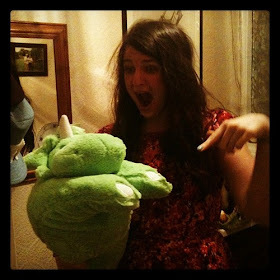 t*rexes and tiaras: Will there be a picture left to snap.. This has to be one of my favourite new things for a very long time. 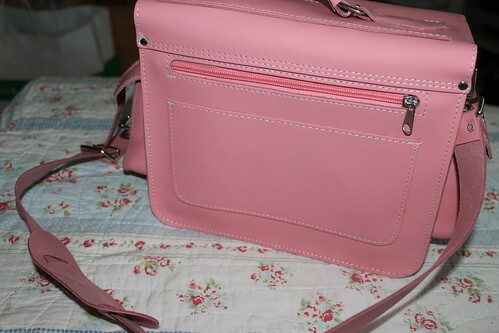 Since the first time I spotted this pink Grafea camera bag, I knew that I'd need to get my hands on one at some point. So when I found myself with a bit of an unexpected bonus and a discount code which expired at the end of the week, I took the plunge and hoped it would prove to be as lovely as it looks in the pictures. When it eventually arrived (I definitely wouldn't recommend either MyBag.com or Yodel for actually being able to give any accurate information regarding the delivery, but I managed to contact my usual driver directly and track it down!) I was pretty pleased, although the colour was a little brighter than I'd expected. 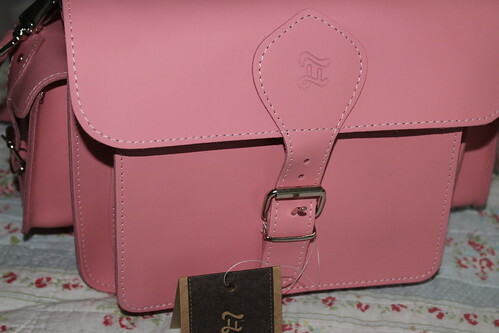 The bag itself is absolutely lovely. 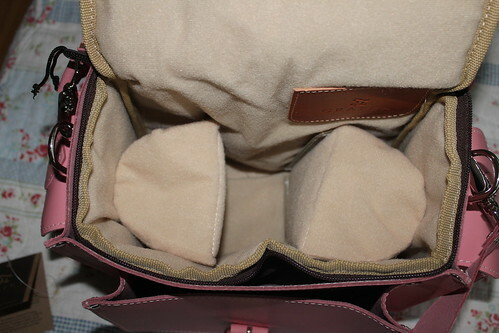 The main compartment has two moveable velcro dividers and is plenty big enough for my Canon 1200D with it's lens on. Then there are side pockets which fasten with buckles and a zipped pocket and a smaller pouch pocket to the back. 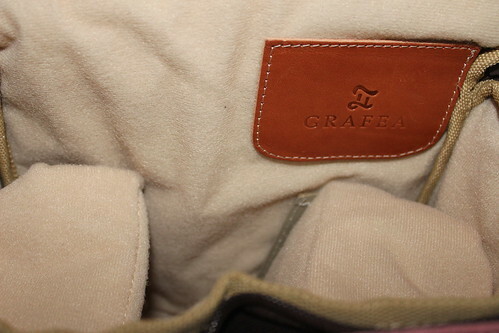 The main section of the bag is a sort of liner, which has it's own zip, then there's a main buckle to the front. The camera bag comes with a top handle and a detachable shoulder strap, which again has a buckle in order that you can alter the length to suit you. 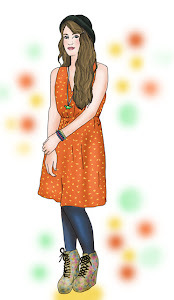 I've found it comfortable to wear on my shoulder, or across body like I would a satchel. There's no doubt that this is one of those investment pieces which is going to last a lifetime. I certainly hope so, anyway. I was even more pleased with it when I realised that it was the perfect size to fit in the basket of my bike! How do you carry your camera around with you? This has to be a huge step up from just throwing it in my handbag, which I'd been doing. it looks perfect! 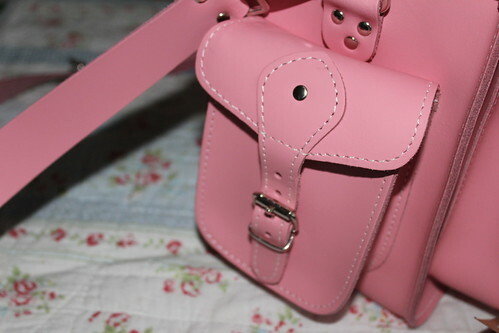 I do need a pretty camera bag, but then I also need a camera. What do you use to take your photos qt the moment? tHEY'RE always so good!! Aw, that's a good idea. Wow that is beautiful! I love that it doesn't obviously look like a camera bag (if that makes sense.) It just looks like a lovely bag. I definitely need to invest in a proper camera bag as I've been using the same old, cheap Topshop tote bag and sheet of bubble wrap(!) for the last 5 years! It's a bit embarrassing as it was only meant to be a temporary solution. That bag is so gorgeous, I wish I had a camera good enough to put in it haha! Love the colour too, so pretty! Yeah, I wouldn't order from them again tbh. This bag is GORGEOUS! If I had a bag this beautiful, I would definitely take my camera around with me more often! It sort of works, although I did decide it was too big to carry to London with me at the weekend.